Vancouver is only a four to six hour drive away from British Columbia's famous Okanagan wine region but you don’t need to go far outside of the city to find wineries selling everything from award-winning traditional grape varieties to other fruit-based beverages. 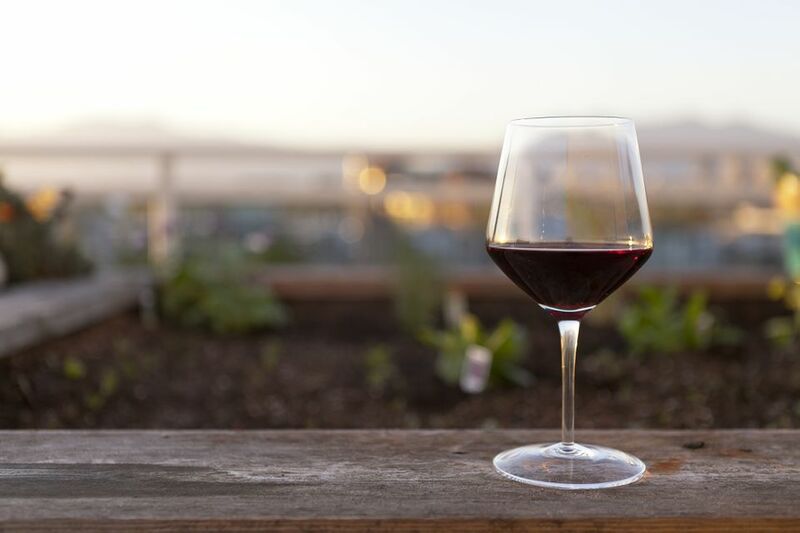 Take an organized tour or rent a car (and assign a designated driver) and head within an hour of downtown to discover garage wineries, urban wine companies, and Tuscan-style wineries. Vancouver's cool climate gives it similar wine growing conditions to Southern France or Northern Germany. British Columbia is best known for its white wines and the wineries around Vancouver have a wide selection of whites and sparkling wines to taste and take home as a memento of your trip. It's not just grapes that star in wines here — the fertile farmland around the city, especially in the Fraser Valley, is home to many historic orchards and fruit fields that grow berries such as blueberries and cranberries. Situated in the heart of the city, in the up-and-coming Railtown area, Vancouver Urban Winery is housed in the historic settlement Building, which is also home to Belgard Kitchen and the craft brewery Postmark Brewing. Taste the VUW brand of wine, which is made on-site using grapes from the Okanagan or choose from one of the 36 wines on tap. Pair your wine with a plate of charcuterie or a heartier, seasonal dish from the menu. The urban winery has a cozy vintage atmosphere that makes it an ideal date spot, especially on a cold, rainy day. It is located in a relatively "gritty" part of the city, so you may wish to take a taxi as the area is becoming busier but still can feel isolated at night. Located in the Township of Langley, which is about an hour away from downtown Vancouver by car, this award-winning winery takes its name from its location in Vancouver’s "backyard." Since 2009, the winery has been producing wine made from grapes grown at the vineyard, as well as blended wines that include grapes from the Okanagan and Fraser Valley. Try the bubbly in the vineyard’s tasting room or under the gazebo if the weather is nice and sunny. The vineyard is open year-round, seven days a week. Township 7 is also named after its location in the Township of Langley, although the wine producer now has vineyards in the Okanagan as well. Known for Champagne-style chardonnays and pinot noirs, Township 7 is surrounded by the fertile farmland of the Fraser Valley. Visitors can taste the award-winning wines in the winery or take part in a wine and food seminar to learn more about local wines and pairing food. Just a 45 minute drive from Vancouver, Chaberton Estate Winery is a 55-acre vineyard in south Langley. Take a public tour of the winery at 11:30 a.m. or 3 p.m. (weather permitting) or enjoy French-inspired cuisine and vineyard views at Bacchus Bistro. Taste red, white, rosé and dessert wines made from grapes that are grown on the vineyard and in the Okanagan and Similkameen Valleys. Located on a working farm in Langley that grows heritage apples, heirloom tomatoes and grapes, Vista D’oro has stunning views of Campbell Valley Park and Golden Ears Mountain Range. Visit the Farmgate Shop & Tasting Room to try some of the interesting wines from more well-known types such as pinot noir to the winery’s most innovative wine: D’oro is the signature walnut wine that features marechal foch, merlot, Vista D'oro green walnuts, and BC brandy. Pick some up unique presents at the Farmgate Shop & Tasting Room, which is open Thursday through Sunday between 11 a.m. to 5 p.m.
Less than an hour from Vancouver, Maan Farms has a small tasting room within its farm shop where visitors can try some of the fruit wines such as blackberry, blueberry, raspberry and strawberry & rhubarb blends. Made using fruits from the farm, the wines have won awards for their taste, which ranges from tarter berry wines to sweet port-like dessert wines. Look out for special events at the farm from haunted corn mazes to Christmas markets and even yoga with goats. Call ahead for off-season opening hours and special events, or to order a custom bottle label for a personalized gift. Taste BC’s most famous fruits, such as white & red cranberries and blueberries, as well as other berries, in a range of table and dessert wines that can be drunk on their own or in cocktails to add a fruity flavour. Founded in 2001, the winery is close to the historic village of Fort Langley, which is worth a stop if you’re heading to the winery. Metro Vancouver’s largest winery is located in the agricultural land of Richmond, where you’ll also find the Vancouver International Airport. The Tuscan-inspired winery has four tasting rooms and 15 acres of vineyard to explore — it began as Blossom Winery, a fruit and ice wine winery, before a $7 million rebrand that saw the winery expand to produce red and white grape table wine. Canada’s first "garagiste" (garage winery) is in New Westminster, an increasingly hipster town that is only a 20 minute drive from downtown Vancouver. Head here to try small-batch red and white wines that have won international awards since the first batch was released in 2007. Visit the tasting room for walk-in tastings or book ahead for a tour through the urban winery and barrel room. A Langley institution, Krause Berry Farms was established in the '70s and is now home to a U-pick, bakery, restaurant and cooking school. At the bakery you'll find freshly baked sweet treats, chocolate bark, and farm-fresh fudge. You’ll also find the Estate Winery where you can try various berry wines as well as more unusual flavors such as blackcurrant wine and oaked apple wine. Make Time for Romance in Vancouver B.C. Discover one of Canada's biggest and best BC wineries. Top 10 Attractions in Vancouver, B.C.